Society for Incentive Travel Excellence (SITE) is accepting speaker applications for SITE Global Conference 2019, 11-13 January in Bangkok, Thailand. This is the association’s signature event, bringing together 500 incentive travel professionals in a world-class destination to learn, network and celebrate. Interested parties are invited to share their stories, best practices, case studies, and thought leadership with incentive industry leaders from around the world and help make the case for why incentive travel works. Making the Business Case for Incentive Travel – Sessions in this track equip participants with the “whys” of incentive travel: for example, why it makes sense from a business perspective. Selling to the Incentive Market – Sessions in this track will help participants improve their sales skills by addressing issues specific to selling incentive travel. Managing Incentive Travel Programs – Sessions in this track help participants learn about the essential elements within the three pillars – Service, Operations and Management – needed to successfully manage incentive travel programs. General Professional Development – This track is ideal for topics that are not directly related to Incentive Travel, but provide professional development to our attendees. Keynotes, local speakers, and deep dive proposals should use this track. SITE is also interested in speakers that offer creative ways to engage and interact with conference attendees through a variety of session types: keynote, educational breakout sessions, storytellers, roundtable discussions and cultural deep dives. Speaking opportunities are open to both SITE members and non-members. 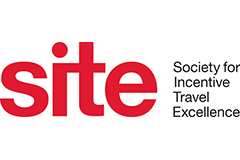 To learn more about the selection criteria, proposal submission details and other considerations, visit the SITE Call for Speakers information page, or contact education@SITEglobal.com. All submissions must be received prior to 23:59 (11:59 PM) Central Standard Time on Friday, April 27, 2018 to be considered.